Jason Robert Brown (born June 20, 1970) is an American musical theatre composer, lyricist, and playwright. Brown's music sensibility fuses pop-rock stylings with theatrical lyrics. An accomplished pianist, Brown has often served as music director, conductor, orchestrator, and pianist for his own productions. 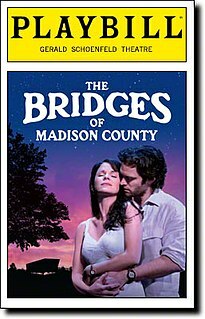 He has won Tony Awards for his work on Parade and The Bridges of Madison County . A New Brain is a musical with music and lyrics by William Finn and book by Finn and James Lapine. Though many of Finn's previous musicals were to some extent autobiographical, A New Brain dealt directly with his own harrowing experience with an arteriovenous malformation and the healing power of art. The hero of the musical, Gordon Schwinn, worries that he may not live to complete his work. Finn wrote many of the songs soon after his release from the hospital. The musical premiered Off-Broadway in 1998 and has been revived in the U.S., England and elsewhere. Parade is a musical with a book by Alfred Uhry and music and lyrics by Jason Robert Brown. The musical premiered on Broadway in 1998 and won Tony Awards for Best Book and Best Original Score and six Drama Desk Awards. The show has had a U.S. national tour and numerous professional and amateur productions in both the U.S. and abroad. 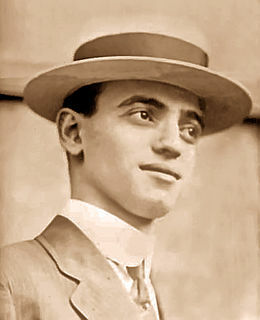 Leo Max Frank was an American factory superintendent who was convicted in 1913 of the murder of a 13-year-old employee, Mary Phagan, in Atlanta, Georgia. His trial, conviction, and appeals attracted national attention. His lynching two years later, in response to the commutation of his sentence, became the focus of social, regional, political, and racial concerns, particularly regarding antisemitism. Today, the consensus of researchers on the subject holds that Frank was wrongly convicted. Alfred Fox Uhry is an American playwright and screenwriter. He has received an Academy Award, two Tony Awards and the 1988 Pulitzer Prize for dramatic writing for Driving Miss Daisy. He is a member of the Fellowship of Southern Writers. Urban Cowboy is a musical with a book by Aaron Latham and Phillip Oesterman and a score by Broadway composer-lyricists Jeff Blumenkrantz and Jason Robert Brown and a variety of country music tunesmiths, including Clint Black and Charlie Daniels. New York Rock is an off-Broadway musical by Yoko Ono. It is a thinly veiled account of her life with John Lennon. The musical contains many songs from Ono's albums throughout the years, as well as several new tracks, "Warzone" and "Where Do We Go from Here", which were reworked for inclusion on Rising. 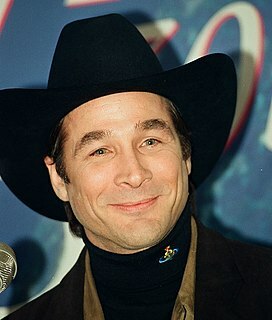 Clint Patrick Black is an American country music singer, songwriter, musician, multi-instrumentalist, record producer and actor. Signed to RCA Records in 1989, Black's debut album Killin' Time produced four straight number one singles on the US Billboard Hot Country Singles & Tracks charts. Although his momentum gradually slowed throughout the 1990s, Black consistently charted hit songs into the 2000s. He has had more than 30 singles on the US Billboard country charts, twenty-two of which have reached number one, in addition to having released twelve studio albums and several compilation albums. In 2003, Black founded his own record label, Equity Music Group. Black has also ventured into acting, having made a cameo appearance in the 1994 film Maverick, as well as a starring role in 1998's Still Holding On: The Legend of Cadillac Jack. Brown at a 2013 CD signing with Adam Kantor and Betsy Wolfe, the cast of the 2013 off-Broadway revival of The Last Five Years. Parade – Ran on Broadway from December 17, 1998 to February 28, 1999. Won the Tony Award for Best Score, and a Drama Desk Award for Best Music. Also plays piano on the cast recording. The Last Five Years – Ran Off-Broadway from March 3, 2002 to May 5, 2002. Won Drama Desk Awards for Best Music and Best Lyrics, and nominated for Outstanding Orchestrations. Also wrote the book, conducted, and played piano. In 2014, a movie was made starring Anna Kendrick and Jeremy Jordan. 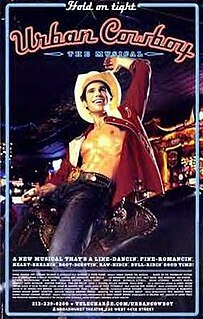 Urban Cowboy – Ran on Broadway from March 27, 2003 to May 18, 2003. Tony-Nominated for Best Original Score. Brown contributed five songs to the score of the musical. Also orchestrated, arranged, music directed, conducted, played keyboards, and sang. Wearing Someone Else's Clothes – 2005 – Brown's solo debut album, composed entirely of tracks which were previously unreleased, some of which were cut songs from shows or written for shows which were never finished, and some of which were written as stand-alone songs for the album. The album features his vocals and compositions on every song, and his arrangements and musicianship on almost every track. Chanukah Suite – 2005 – an 8-minute chorale fanfare in three parts, featuring traditional Hebrew songs infused with up-tempo rock and roll rhythms and Leonard Bernstein inspired chordal flavors. Honeymoon in Vegas – Brown has written a stage adaption of the motion picture of the same name, with the book written by Andrew Bergman. The Broadway production was originally scheduled to debut in Toronto in November 2012, but was canceled. Performances began on September 26, 2013, for the out-of-town tryout at the Paper Mill Playhouse starring Tony Danza and Rob McClure. The Broadway production starring Danza and McClure opened at the Nederlander Theatre on January 15, 2015, before closing on April 5, 2015, due to insufficient ticket sales. Jason's Song (Gave It Away) – When Brown was in L.A. for a couple of weeks, Ariana Grande asked him to write a song for a new album. 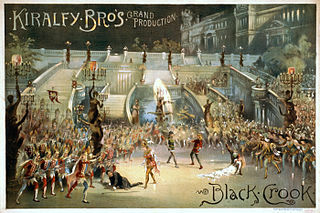 Since they have worked together before (in the Original Broadway Cast of 13), Brown agreed to help. Months later, their track was released on Grande's extended edition of Dangerous Woman . How We React and How We Recover – A second solo album, recorded from May–December 2017, features songs developed at his monthly Subculture concert residency in New York. The album was released June 29, 2018 by Sh-K-Boom/Ghostlight Records. Harold Smith Prince is an American theatrical producer and director associated with many of the best-known Broadway musical productions of the 20th century. He has garnered twenty-one Tony Awards, more than any other individual, including eight for directing, eight for producing the year's Best Musical, two as Best Producer of a Musical, and three special awards. Stephen Lawrence Schwartz is an American musical theatre lyricist and composer. In a career spanning over four decades, Schwartz has written such hit musicals as Godspell (1971), Pippin (1972), and Wicked (2003). He has contributed lyrics for a number of successful films, including Pocahontas (1995), The Hunchback of Notre Dame (1996), The Prince of Egypt, and Enchanted (2007). Schwartz has won the Drama Desk Award for Outstanding Lyrics, three Grammy Awards, three Academy Awards, and has been nominated for six Tony Awards. He received the 2015 Isabelle Stevenson Award, a special Tony Award, for his commitment to serving artists and fostering new talent. Jonathan Tunick is an American orchestrator, musical director, and composer, one of fifteen people to have won all four major American show business awards: the Tony Awards, Academy Awards, Emmy Awards and Grammy Awards. He is best known for his work with Stephen Sondheim, starting in 1970 with Company and continuing to the present day. The John Gore Organization (JGO), formerly known as Key Brand Entertainment (KBE), is a producer and distributor of live theater in North America, as well as an e-commerce company, focused on theater. KBE was founded in the UK in 2004 by 13-time Tony Award winning Producer John Gore who is the company's Chairman, CEO and Owner. Andréa Burns is an American actress and singer, best known for her portrayal of the saucy hairdresser "Daniela" in Lin-Manuel Miranda's Tony Award-winning musical In The Heights, as "Carmen" in Douglas Carter Beane's The Nance alongside Nathan Lane, and "Mrs. Spamboni" in The Electric Company. Michael Starobin is an orchestrator, composer, arranger, and musical director, primarily for the stage, film and television. He won Tony Awards for the orchestrations of Assassins (2004) and Next to Normal. Larry Hochman is an American orchestrator and composer. He has won four Emmy Awards for his original music on the TV series The Wonder Pets, and a Tony Award for his orchestrations for The Book of Mormon. Dave Malloy is an American composer, who has created several theatre works, often based on classic works of literature. They include his award winning electropop opera Natasha, Pierre & The Great Comet of 1812, his chamber musical Ghost Quartet and his musical fantasia Preludes. Malloy is a three-time Tony Award nominee. Prince of Broadway is a musical revue showcasing the producing career of Harold Prince. Prince himself directs the production. ↑ Brown, Jason Robert (2008). "Nicely done, schmuck". The Sondheim Review. 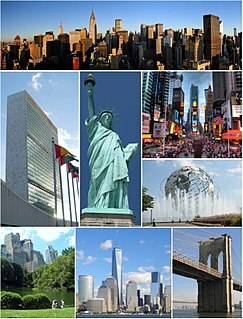 Sondheim Review, Inc. XVI (4): 25. ISSN 1076-450X. 1 2 3 4 5 "Jason Robert Brown". Archived from the original on 2014-02-19. ↑ "THEATER; Trying to Keep the Sound of Musicals Alive – New York Times". Nytimes.com. 1999-08-29. Retrieved 2014-07-04. 1 2 Gioia, Michael. "Jeremy Jordan and Anna Kendrick Will Explore The Last Five Years On Screen in Richard LaGravenese Adaptation". Archived from the original on 2013-02-24. Retrieved 2013-03-08. ↑ "ATW's Working in the Theatre #311 Production: "Urban Cowboy" (Spring 2003) Extended". YouTube. Retrieved 2014-07-04. 1 2 "Fighting With Teenagers: A Copyright Story". Jason Robert Brown. Retrieved 2014-07-04. ↑ "Composer Jason Robert Brown". DC Theatre Scene. 2008-10-31. Retrieved 2014-07-04. ↑ Vogel, Scott. 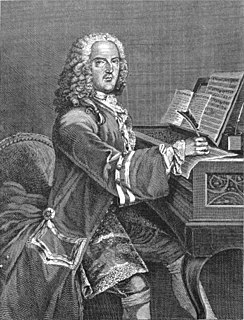 "A Young Composer's Wonder 'Years'". Washington Post. The Washington Post Company. Retrieved 14 March 2017. ↑ "Jason Robert Brown's 13 Announces Broadway Closing Date". Archived from the original on 2008-12-19. ↑ "The Tony Award Nominees – Shows – TonyAwards.com – The American Theatre Wing's Tony Awards® – Official Website by IBM". TonyAwards.com. 2014-02-18. Retrieved 2014-07-04. ↑ "The Waverly Gallery – 2000 Off-Broadway – Backstage". Broadwayworld.com. Retrieved 2014-07-04. 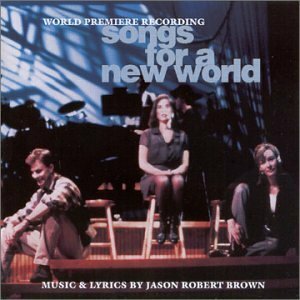 ↑ "Songs of Jason Robert Brown: Music". Amazon.com. Retrieved 2014-07-04. Wikimedia Commons has media related to Jason Robert Brown .